Who doesn’t like Disney Mickey Mouse Clubhouse Toys or Minnie Mouse for that matter! 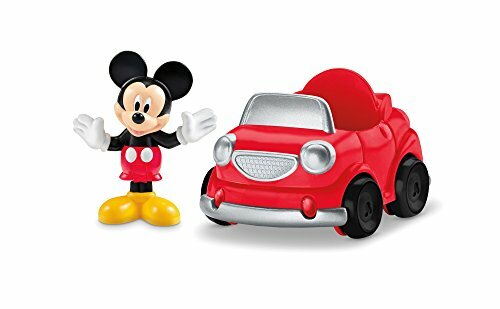 Did you know that Mickey Mouse turned 90 in November last year, and that the Mickey Mouse Disney toys are still the most popular toys amongst toddlers today. 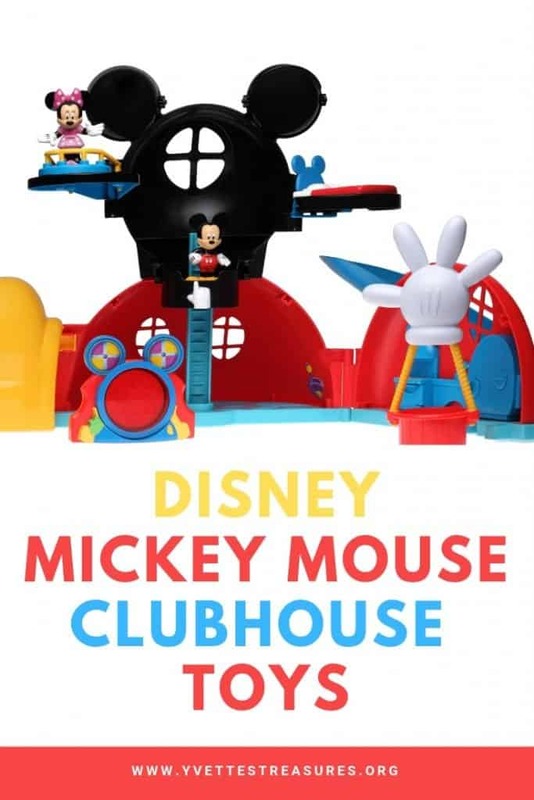 Today I am featuring the most popular and most loved Disney Mickey Mouse clubhouse toys which will make the very best toddler gifts. Hope you love them as much as I do. Let’s start with my favorites…. Join Mickey Mouse as he gets ready to zip, slide and zoom on an all-out wacky adventure around the Mickey Mouse Clubhouse! Mickey Mouse is ready for a wild ride as he begins his journey in his hot air balloon! Raise the zip line and Mickey “flies” down in his balloon, landing on the lookout tower. 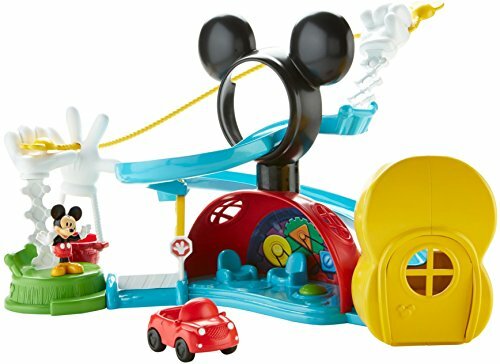 Then Mickey takes a magical ride down the spiral slide, which swirls around the Clubhouse and ends in his boot-shaped garage where he lands right in his little red car. 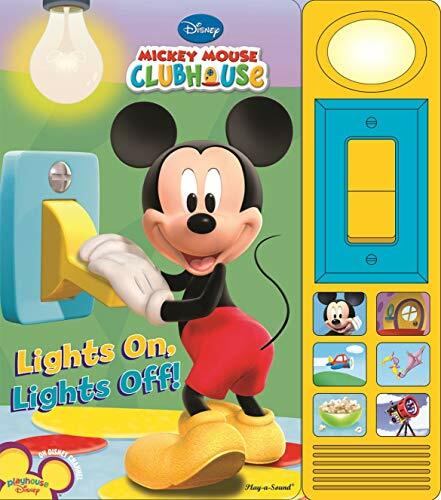 Press the button inside the Clubhouse and Mickey’s car launches out of the garage. 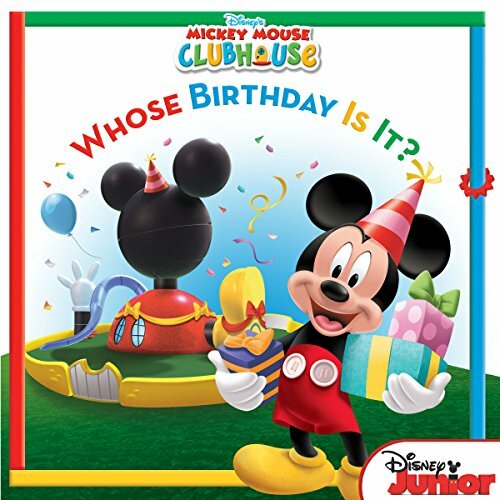 Have loads of fun interactive play with Mickey Mouse and his Clubhouse friends! Now your child can have their very own motorized Mickey train set. The Mouska-Train Express features a motorized train engine with Mickey molded into the body of the train. 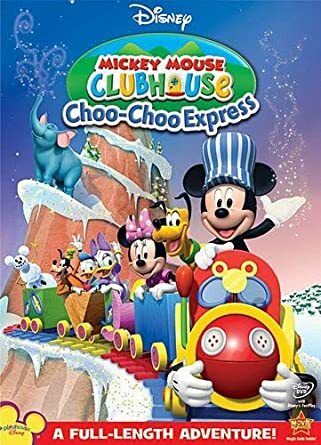 Mickey Mouse is riding the rails delivering packages to his Clubhouse friends, and he’s got a couple of boxes that promise to deliver a pop-up surprise! The set also includes a cargo tower, a tunnel, 2 stop-tracks, a crossing gate, 2 spinning signs, and 2 cargo packages with a pop-up surprise one with Pluto, and the other with Chip ‘n Dale. Related: The Best Minnie Mouse Toys For Girls! Come along, Mickey, Pluto, Goofy and Donald are waiting for you to join in the fun. 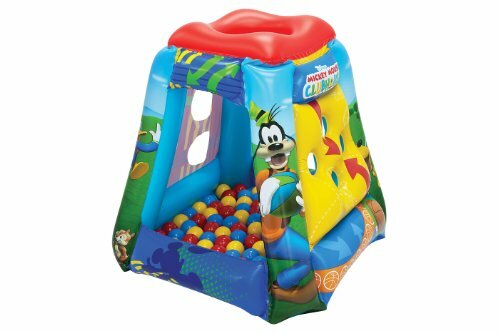 This awesome Mickey adventure playland comes with 20 soft flex balls, peek through windows, a fun ball toss roof and an interactive side play panel for added fun. Spend the day with Disney’s Mickey Mouse Clubhouse pals! Mickey Mouse is getting together with the whole gang and you’re invited! 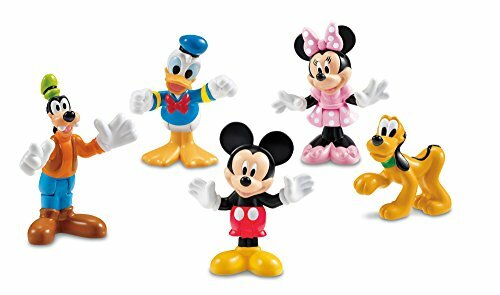 This fun-filled figure set comes with 5 plastic figures of your favorite Disney friends from the Mickey Mouse Clubhouse TV show: Mickey Mouse, Pluto, Minnie Mouse, Goofy and Donald Duck. 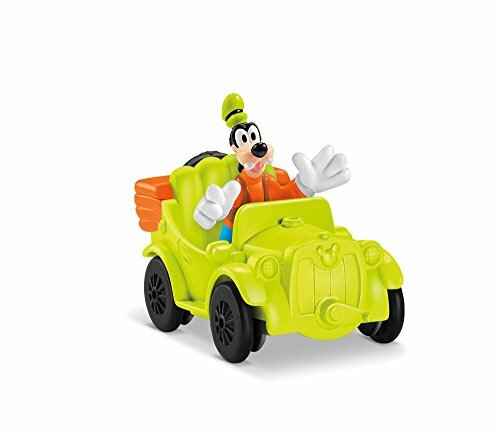 Four of the figures can bend at the waist so you can easily sit them in your Mickey Mouse Clubhouse vehicles and drive off to another Mickey adventure! A great gift for Disney fans! 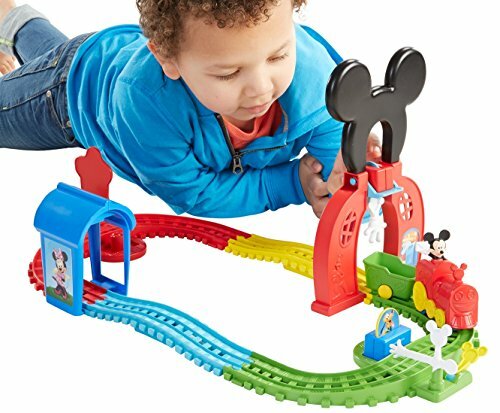 You definitely can’t play with Disney Mickey Mouse Clubhouse toys and not include the gang’s cool clubhouse cars! Bright, colorful and loads of fun. 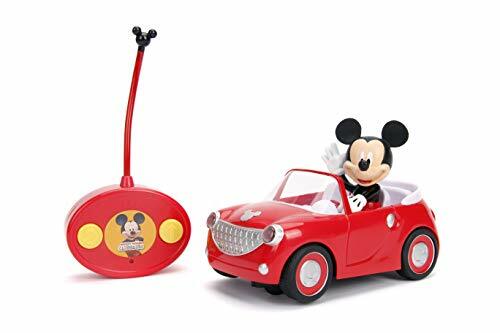 Travel with Disney’s Mickey Mouse in his super cool remote control red roadster as he goes on another fun adventure! An easy-to-operate remote that allows Mickey Mouse to whirl his way around the floor. Three AA and two AAA batteries are required (not included). The perfect Mickey Mouse gift for ages 4 and up. 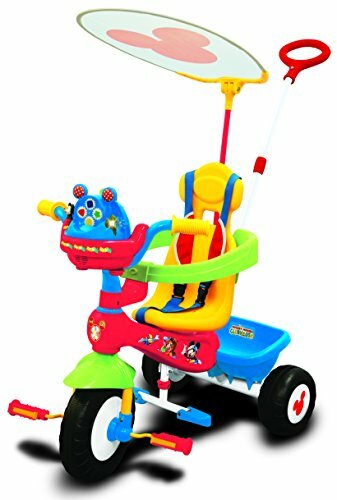 Colorful and fun….this Disney Mickey Mouse trike has it all. Play Mickey’s favorite music! Press the colorful keys to play the piano with flashing lights. Turn the ignition key and push buttons to rev the engine and sound the horn. Turn the steering wheel for realistic driving fun with removable sun-screen, rigid support and push handle for ultimate comfort. The Mickey Mouse trike has a large bucket at the back and a front basket for all your extra goodies. The frame is safe and durable for hours of pedaling fun. Great for ages 24 months to 5 years so your toddler gets years of play. 2AA Batteries also included. 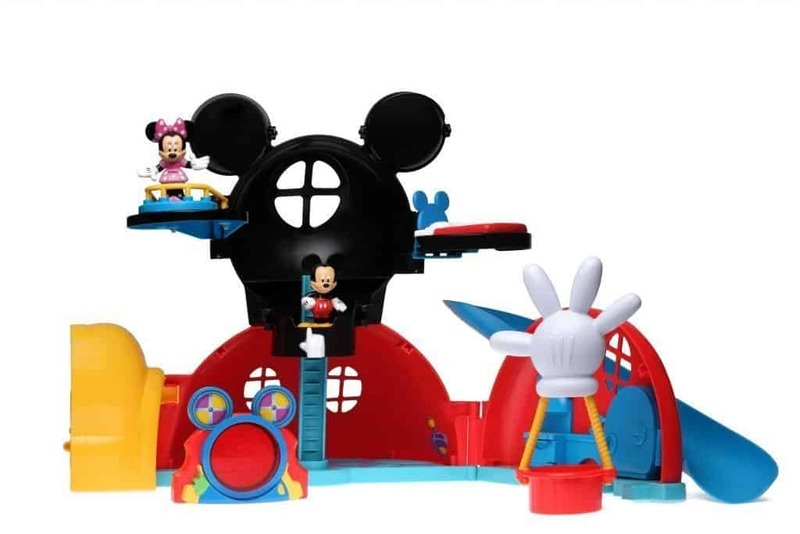 Related: These Popular Mickey Mouse Toys For 2 Year Olds Are Amazing! Kids just love the Hot Dog Song which is played in every episode of the popular Mickey Mouse Clubhouse series. 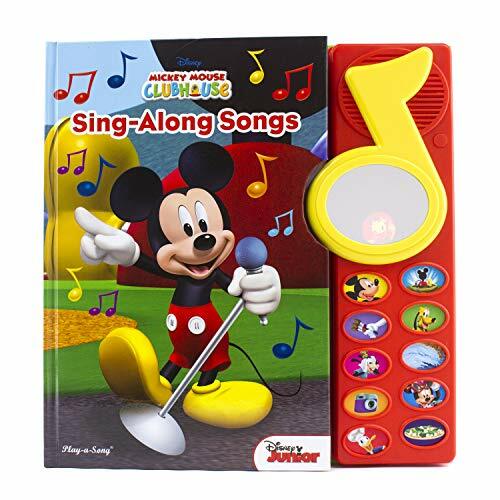 Now they can join in by singing and dancing along with the Hot Diggity Dance and Play Mickey! 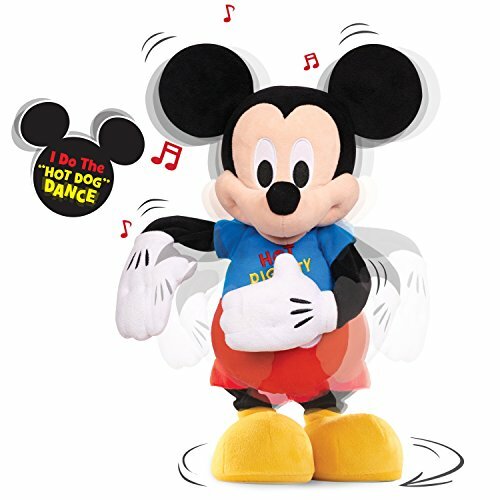 This interactive feature plush is dressed in a cool light-up t-shirt and features some sweet dance moves! Not only does Mickey boogie to the Hot Dog Song, but he can also play Freeze Dance and What’s that Sound Game. 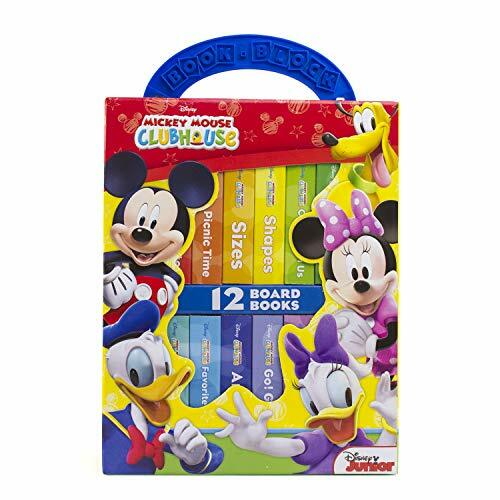 A great gift for those Mickey Mouse fans, ages 3+. Books are always a great investment and gift. 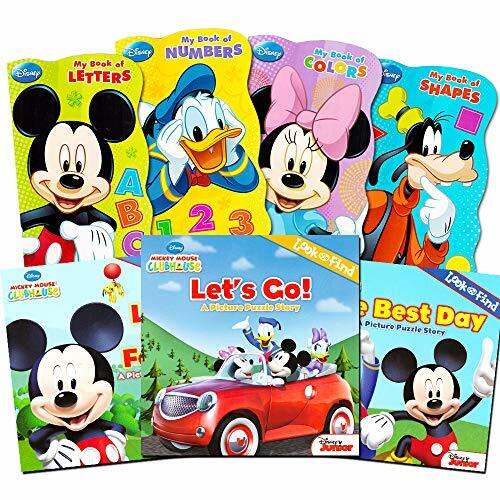 Spend quality time with your kids while reading from these colorful and fun Mickey Mouse story books. Learn the ABCs, shapes, colors and numbers when you join Mickey and his friends as they go on adventures. Solve mysteries, press buttons and activate musical tunes of a door opening or a toy airplane zooming through the sky. Books can be kept and treasured for many years to come. So enjoy and share your Mickey Mouse stories with friends and family. 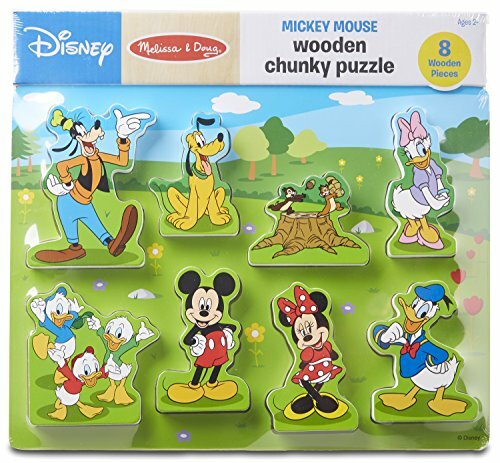 This adorable 8-piece wooden chunky puzzle featuring Mickey Mouse and his friends is perfect for little hands and big imaginations. The extra-thick wooden pieces are easy to grasp, easy to maneuver, and even stand up for imaginative pretend-play fun. Ideal for ages 2 years and up. What a great gift idea. 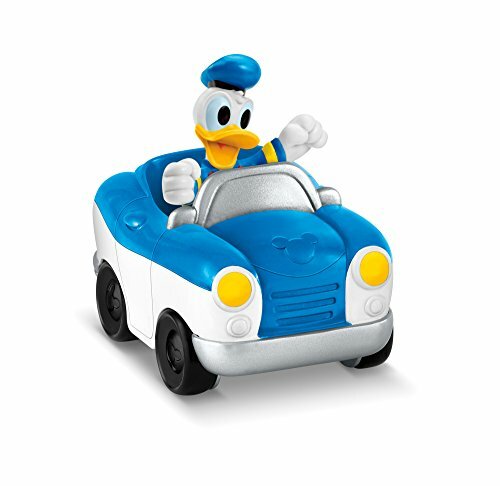 Still one of the most popular Disney Mickey Mouse Clubhouse toys EVER! Easily build a wonderful birthday train featuring your favorite Disney characters, including a buildable birthday cake, balloons, a candle and three gift-decorated bricks. 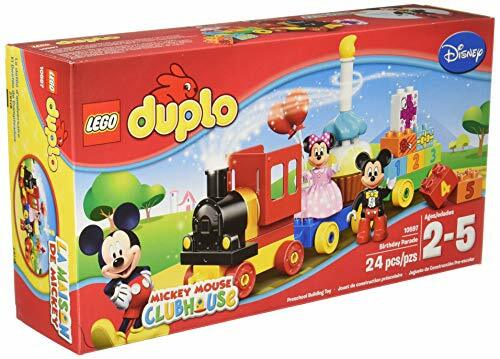 Mickey and Minnie Mouse are included in the 24 piece set. Perfect for either boys or girls between the ages of 2 and 5 years old. This LEGO Disney Mickey Mouse Clubhouse Birthday Parade will bring the kids birthday fun year after year.